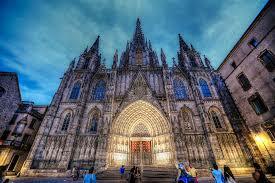 Want cheap car hire at Bilbao Airport? Compare discounted car rental, SUV, MPV & Minivan prices. 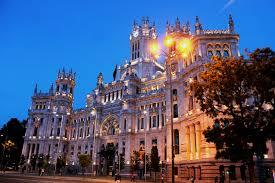 Looking for cheaper car hire prices at Bilbao Airport in Spain? We search the databases of the major car rental companies to get you the best priced available quality hire car, today. Prices include mileage, insurance and breakdown recovery. Bilbao Airport sits nine kilometers away from the Bilbao city centre. 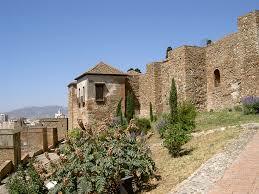 It is in the municipality of Loiu, in the province of Basque Country in Spain. Bilbao Airport is the most significant and most prominent airport in the area. It handles over four million passengers, in any given year. To get in and out of the airport, you can use a shuttle, the bus, or the taxis that serve the area. The BizkaiBus line can take you to the Bilbao city centre, dropping you off at the Moyua Square. It runs to and from these two points every 30 minutes. For other destinations, you can take the taxi or the Lurraldebus to get to Donostia-San Sebastian. The Bilbao Airport is 9 kilometers from Bilbao downtown. At the moment, the only mode of transport to, and from, the airport is via taxi, bus, or your own vehicle. Proposals for a new rail transport system are in the pipeline but with money concerns it may be some time forit to materialize. When completed the planned railway is will connect the airport and the Bilbao city centre. 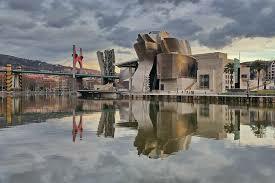 The main attractions of Bilbao, would be its historic structures and well-kept museums. Don't forget to check out the Calatrava Bridge and Casco Viejo. Discounted vehicle rental prices in Bilbao. Land in Bilbao and drive a holiday auto away for less. Better availability of SUV, MPV if book early. Manual & automatics are cheaper here. Minivans to seat 7 & 9 people at discounted hiring costs. You'll find many medieval buildings around here, examples of which are Teatro Arriaga, the La Ribera market, and Plaza Nueva. 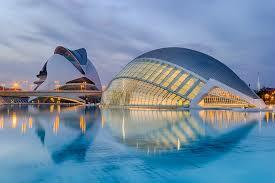 The museums to see are the Guggenheim Museum and the Fine Arts Museum, among 0others. Goldcar - After collecting your luggage, go to the first floor in departures. Then go outside the building to the Goldcar courtesy bus, which runs every ten minutes. This will take you directly to the Goldcar depot, located at the Holiday Inn Express hotel, near to the airport. Phone number 0965 23 31 66. The office is open from 7.30am to 23.30pm. 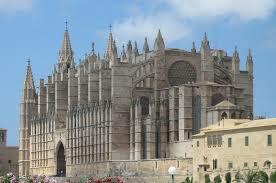 Looking for Spanish vehicle hire in other cities, like Alicante or Malaga?